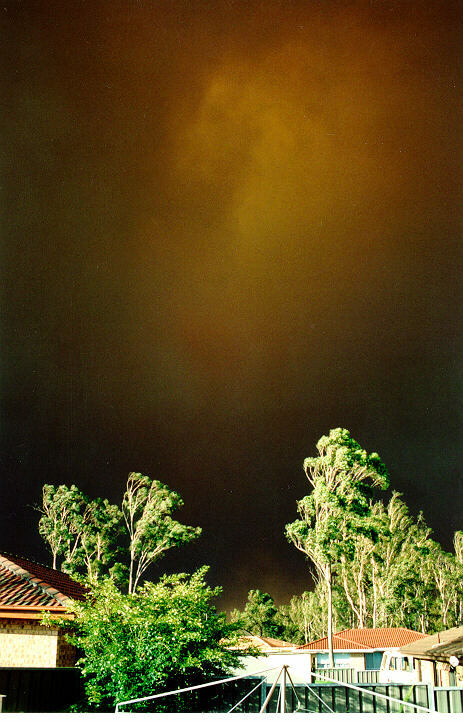 Another part of weather associated with Australia and occurring in dry periods are bush fires. Although bush fires are not "really" a part of the weather, they do depend on and may have an impact on weather conditions. Bush fires normally occur during the summer months. 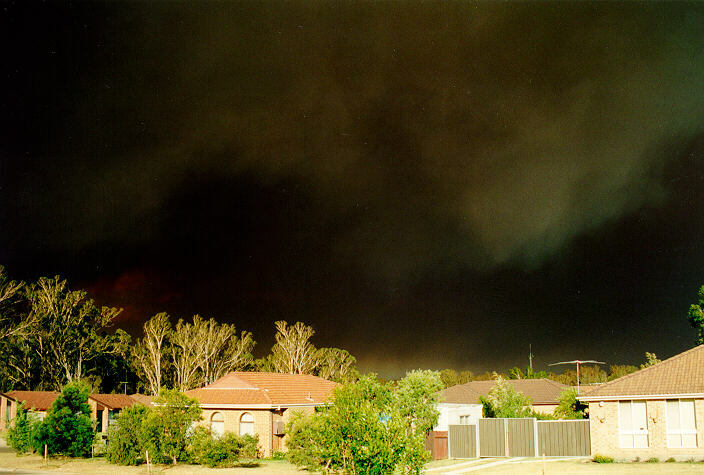 The drier the air, the more intense the bush fire since fires rely on oxygen. During dry weather, plants contain less moisture and hence more oxygen allowing them to burn more readily. It is important for bush walkers to observe the fire danger warnings which are updated daily (in Australia) and that vary from one area to another. Because weather conditions can change rapidly, bush walkers who plan camping trips should be aware that with hot, dry, windy conditions, fire danger levels may rise from medium to high or even extreme within one or two weeks during dry periods. This of course depends on the area. Some areas such as those that are elevated dry out quicker than valley areas. Fires can begin when sunlight is focused to a point by broken glass onto dry leaves or glass. However, fires are often accidentally or deliberately lit by humans. Lightning is also a cause of fires. Regardless of the cause, fires can spread and move quickly through a forest with strong, dry winds. Even though bush fires are easily recognised, many people who do not take an interest in observing the weather also do not anticipate fires regardless of the conditions. Because fires normally rise, they can progress more rapidly vertically than downward. However, because hot ash is blown ahead of the fire, this can accelerate fires and also allow them to move down into valleys. The heat from the fires are not the only danger. Other hazards include falling trees, burning power line poles which fall and expose live wires on the ground, and of course smoke, which can make breathing difficult and reduce visibility. Fires have often trapped people including fire-fighters by enclosing them in an area of winding road or simply because they have moved to quickly. It is therefore important to contact local authorities for information of what to do during bush fires.